Thank you Casper! Seriously, this summer was awesome. And it was because of you. 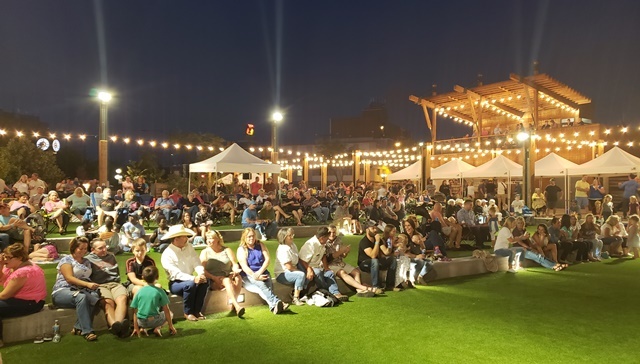 Your commitment to supporting local vendors, food trucks, musicians, students, and businesses has shown us how great of an impact David Street Station is having on Casper. 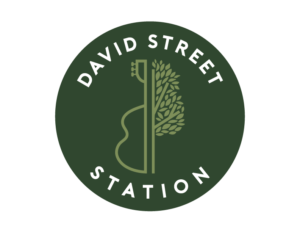 Your interest in the programs and events that David Street Station is providing help us know that it is worthwhile to continue offering free, family-friendly events. No matter the weather, you still show up to enjoy your time with friends and family, and we thank YOU for making David Street Station have a hugely successful 2018 summer season. Events, entertainment, food and great company were not in short supply over the 2018 summer season. The grand opening of the Hilltop National Bank Splash Pad helped to kick off the summer in the best way possible: with our Casper community. From there, things only got better. Lunch on the Lawn, Food for Thought Summer Markets, Family Game Nights, Cinema at the Station, and the Summer Concert Series kept us busy nearly every night of the week. The best part was seeing all of the familiar faces of our old and new friends as they brought their family and neighbors down to enjoy the atmosphere that David Street Station has become known for. While these events would not have been possible without the generous support of local businesses like Hilltop National Bank, Casper College, WCDA, the McMurry Companies, the Hat Six Travel Plaza, and Foss Motors, we owe a heartfelt thanks to each of you who supported us this summer by attending events. So, again and again and again, thank you! We can’t wait to celebrate future milestones, changing seasons, and many more memorable moments with you and your families for years to come. Thank each of you for making David Street Station #WhereCasperComesTogether. No Replies to "Thank YOU for a great 2018 Summer!"